The first thing you probably thought when you read the blog title was 'you silly woman, you have it the wrong way around! ', but no... it is the right way around! I cannot take credit for that title as it was something that was said in a podcast episode I was listening to a couple of weeks ago (and have listened to about four times in total now because it really resonated with me). The podcast was episode 307 from Lori Harder's amazing podcast 'Earn Your Happy', titled 'The Secrets to Winning in Business and Life' with Winn Claybaugh. I wanted to unpick the whole 'Ready, Fire, Aim!' thing because it really is genius! The problem with the traditional 'ready, aim, fire!' is that most of us aim and aim and aim for so long that we don't actually go for it, we don't 'fire' towards our goals soon enough, if at all. I can talk about this from personal experience because the Lucy of old, the Lucy that dreamed of starting a stationery business years and years ago, and only spoke of it during that really inspired time we have around New Years Eve (where we feel unstoppable for all of five minutes), spent way too long aiming. My aiming was made up of endless, tedious 'research' of competitors websites and reading all the right books and listening to all the right podcasts; which is all valid, but what is not valid is the years it took me to leap, or 'fire'. The procrastination part is the part that stops most people from achieving their dreams, or at least trying to achieve them, because we so easily talk ourselves out of it or, during our extensive 'research' we then suffer from the dreaded 'comparison syndrome', which can be terminal to any new entrepreneur. Now that I have the gift of hindsight I can say that Winn's re-ordering of the sentence to 'Ready, Fire, Aim!' is what we should all do, because let me tell you something, basically all the research I did meant nothing when I launched Leaf Lane Studio! I have learned to aim and re-aim since launching, because getting started is the only way to truly learn and be prepared. Before I launched my business, I had the amazing opportunity to work with Gemma Sands, and having her as my business coach gave me a full on kick up the backside that I needed, because I genuinely think I would still be researching now, and I'm not even joking! Gemma took me through so many practical steps and I finally had to be accountable to someone other than myself, which clearly wasn't working was it! I laugh now, because I remember the amount of times Gemma said '...you just need to launch (fire) and then get the details sorted along the way (aim)...'. Knowing what a perfectionist she was dealing with poor old Gemma would always advise me to launch the brand/website as I had it, and to understand that as I worked with it 'live', so to speak, that I would naturally want to shift things around, telling me that I would have learnt so much and would intuitively 'know' what I needed to shift and, I hate to admit it, but she was right (you have it in writing Gem!). Looking back it is all so obvious to me now, but before you launch something it just seems terrifying! How could I have possibly known exactly how I needed everything to work or look without actually testing it and just working with it for a while? Starting a business is tough and you do find yourself constantly wanting to re-work things, probably because the world is your oyster and, suddenly, you are your own boss who can do whatever you want, but take the advice; narrow right in on your ideal customer and, if you don't get it all set in stone, launch anyway and tweak it (aim) along the way! For me, it is only now, just over a year in, that I am re-working my website; it's hard work, but I now know much more about what my clients need/want (through actually doing the work with them...gasp!). I can now see it far more clearly and have a lot more insight to use and work with, rather than guessing. So the moral to this story is simply this: aim along the way, no-one will know that you haven't got it all sorted yet except you. Just launch the thing, whatever the thing is and work it out as you go; take it from me, I know this is the right way (now!). Leaf Lane Studio would probably be about five or six years old right now if I hadn't have taken so long to get myself together! You simply cannot learn the bones of running a business without running the business! Working from home is a tough one and definitely not all I imagined it would be. It has it's many advantages so, believe me, I am certainly not complaining one bit! Lately though, as the end of 2018 approaches (don't get me started on that! 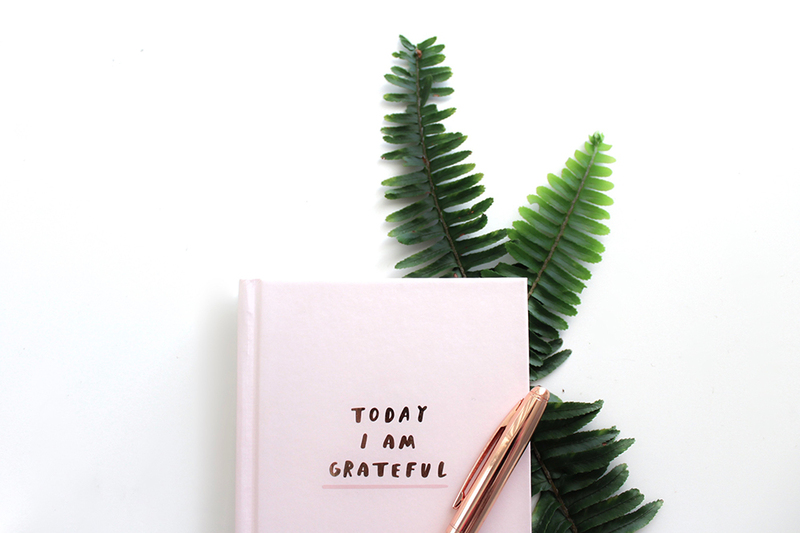 ), I have started to reflect on the things I have learnt about being self-employed and doing it all from home; I have learned a whole lot about my own habits and personality let me tell you! Today I am going to share some three main points I have realised and also some little mini-tips at the end that may help! If you work from home and have any top-tips or suggestions please do let me know in the comments, I would be ever so grateful. It has taken me a long time to realise that it is absolutely fine to have varied days when working from home (i.e. no exact routine) and that it is okay to roll with life from time to time and go off-piste completely when needed. At the start I had a certain vision in my head about working from home which was all dreamy and perfect but actually the reality is far from my vision, which is not to say that it isn't dreamy, but I am now much more realistic! The reality is that, other than my 6.30am gym session, no two days are the same and this is for several reasons, such as needing to get my painting done before I lose light at this time of year, meaning that other tasks are left until the end of the day, which isn't ideal but I have to make it work. There is something to the whole 'living by the seasons' thing I read about so often you know! The winter in general is hard for many, including me; I need sun, light and warmth and without it I get over tired, unproductive and often depressed. This actually circles round to the subject of flexibility again doesn't it, because what I do now to help my mood, is takes things on a day by day basis; for example, this afternoon I felt tired and a little low in mood, plus my back and hips were tight from the gym and sitting a lot, so I did a fifteen minute yoga session at 12.30, right before lunch, followed by a ten minute meditation in a little spot of sunshine in the bedroom; now that is a dreamy half and hour spent! The point is that I am learning to listen to my body and create what I need, when I need it the most (a definite advantage to working at home!). I am learning not to feel guilty about these moments as they make me more productive in the grand scheme of a day; the same way that yesterdays 25 minute nap did after lunch. Had I not listened to my body and instead tried to fight through the feeling of utter exhaustion (from my 5.30am gym alarm and training session) I wouldn't have created what I had needed to yesterday. If flexibility means that some days I don't start working until 11am, but get a sh*t load of work completed by the end of my day or that I can take three hours off in the afternoon because I just need to relax and rest, but work from 7pm until 9pm and power through some good, thorough work, then I am all for it. It is really all about climbing out of your head when it comes to the social norm and allowing your natural rhythms to lead you through your day. Be patient as this can take a bit of time to achieve and you will hit times where you lock horns with an inner voice which is telling you that you are not doing things the 'right way'; my advice is to ignore that voice and to tune in to what your intuition is telling you, rather than your ego. I have always been someone who would put off big tasks; which clearly had to change when I opened Leaf Lane Studio! 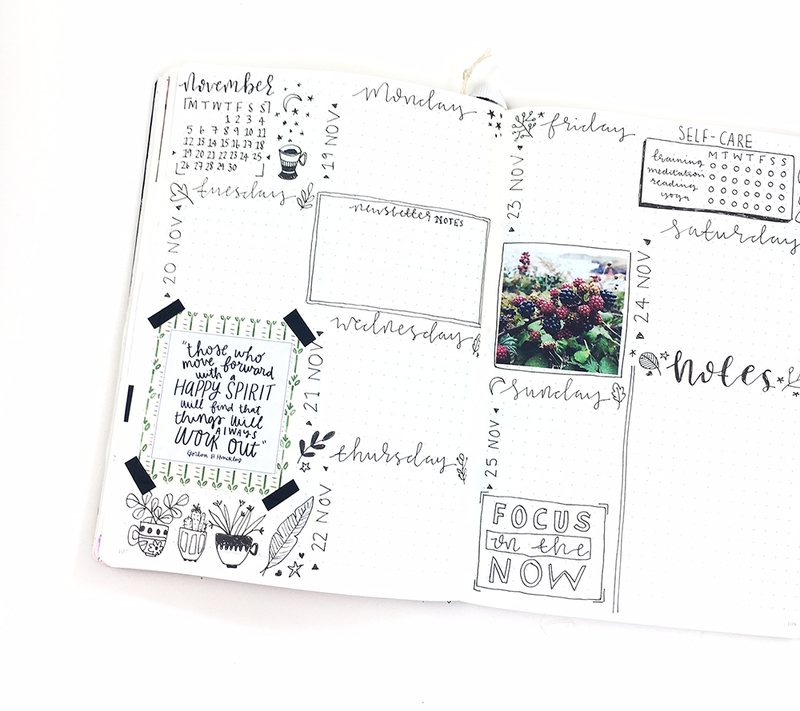 I use my Bullet Journal as my main place to write to-do lists and keep track of things that are going on, but I have recently started to do two things which may seem like common sense to some, but really help me stay on track. The first thing is that I started using my little white-board again, writing my weeks to-do's on it and having it visible in the office. The fact that I share an office with Joe helps me remain accountable and it feels good to put a line through things when they have been completed too! Why is that so satisfying?! The second thing is to really think about what I am working on and choose just one or maybe two things to complete at a time. As a creative, my mind is whirling at 100mph all day, full of ideas or changes I want to make with something; because of this I can start a whole lot of things and then not finish them in a reasonable time. With this in mind I am working on two main things right now, and once they are done, I will move on to the next things. If it is just work for me, let's say I'm designing new products, this is when I can get distracted by new ideas and wander off task, so I am trying to channel the Lucy who works with clients at all times because that Lucy gets the job done! Client work seems different in our heads sometimes I think, because it is tangible (in my case I have to have a product designed, printed and sent by a certain date), whereas bringing our own ideas into fruition doesn't have the same urgency. I have certainly spoken about this before, but in the season of business I am currently in i.e. newbie (! ), it is easy to look around at other people doing similar things and see them bring out product collections jammed with variety and with gorgeously planned marketing and think 'why am I not there yet?'. During the first stages of any business, unless you have gone down the business loan route, it is bloody difficult to get up and running; there is no spare money really and you have to scrimp and save every penny to be able to invest in one tiny thing for your shop. It is so hard, but the slower and more tricky the road, the more we learn on the way. We learn about how we handle many aspects of business, we learn how to experiment with marketing, how to try and get our work out there for nothing, how to connect with others and how to lift ourselves up during times of stress and anxiety. I often ask myself the question of 'would I have wanted to take out a loan and have everything fall in my lap on my first product launch?' and, hand on heart the answer is 'no'. Yes, it would be nice to achieve quick success, but when that products success dies away, what then? Would I know what to do? Would I know how to handle any struggles? Would I feel as strong minded and sure of where I want my business to go as I do through this path? The chances are the answer to those questions is also 'no'. What I am saying is to embrace it all; being in business is bloody hard, massively rewarding, but so challenging. I have full faith that someday I will be achieving all the things I dream of achieving, but until that day arrives I will just keep pushing forward and embracing everything I learn en-route. A little snapshot of my Bullet Journal - I love using this, it has to be a favourite resource for sure! Here are a few little tips or things I do to help me through the working week! - Shower, get dressed and put on a little make up (if that is your thing!). As comfy as pajamas are, if you are not showering, putting a brush through your hair and just staying in the pajamas you have had on all night, you may not feel at your best. Sometimes I have a shower and, if it truly is a 'casual' or cosy day, I'll put on a clean pair of PJ bottoms with a jumper and do my make up and hair; it makes me feel so much more 'on it' then it would if I had rolled out of bed and got right on with some work. :: Have a healthy, hearty breakfast. Skipping breakfast is a no-go if you want to stay focused! Make sure you have something filling and make time for it in your routine. My favourite is apple and sultana porridge with some chia seeds and honey or a smoothie with one slice of toast (and peanut butter of course!). :: If you can, try and get a workout done in the morning; it will set you up for the day ahead and get all the inspiration flowing. I like to do my weights routine and then 20-30 minutes cardio and I use this time to listen to inspiration podcasts; by the time I get home and start work I am usually buzzing! :: Working from home can be isolating. Something I have started doing recently is having FaceTime chats with friends to help make me feel like I am being sociable, especially since I can't always find time to meet up or go out anywhere. :: I've just mentioned podcasts, but I love listening to business inspiration whilst I work. I also love a good audiobook! The one I am listening to currently is 'Little Black Book' by Otegha Uwagba. It is a short one, but gives me a little lift to continue doing what I am doing! I have high hopes that, at some point in the future, I will be able to have a separate office from home, just something not too far away. I think I will do better with a bit of separation from home, and would love to have a space for my art desk and my computer and my stock all in one room. Something that is super important for me is to work somewhere light, airy and inspirational, with room for vision boards, plants and space to organise stock for my shop. I will make that happen one day!